The PORTAKRUSH 500 achieves exceptional compaction ratios utilising a high performance pivot action blade which keeps the charge box area free from debris. These efficient machines are market leaders with large numbers currently in use. 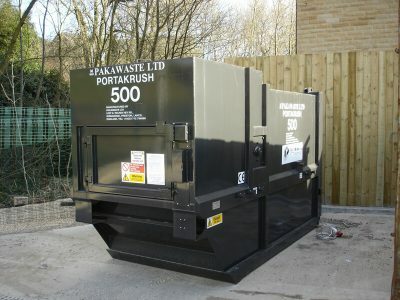 They achieve a compaction ratio of between 4 and 6:1 on a wide selection of waste materials.